This beautiful bow features special Rifle Paper Co. fabric. Super soft, nice weight and on trend! • ONE hand-tied schoolgirl bow attached to a right–sized alligator clip, made to fit comfortably yet securely. They are the perfect size for that wow factor – each bow measures ~ 2½ x 5½”. • No edges are left raw and all thread is secured. • All accessories are handmade with love and guaranteed. Any issues down the line? Just message us and we can work something out! 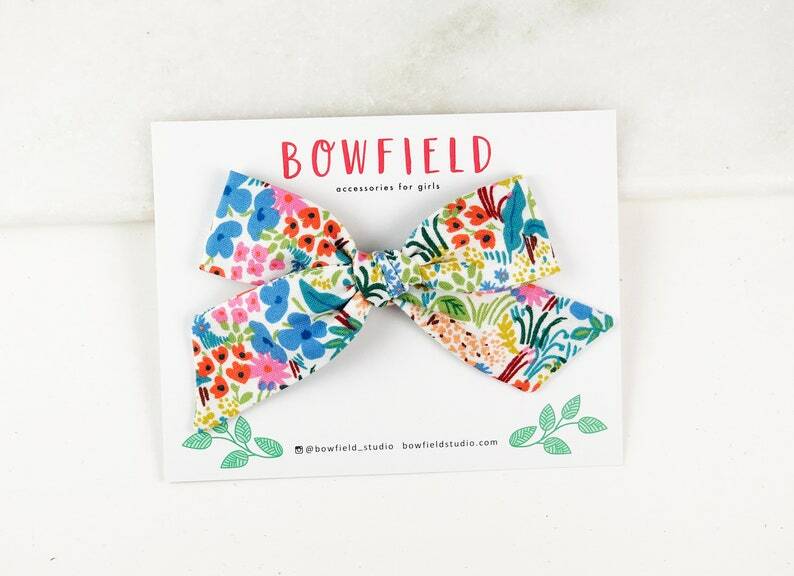 ★ Looking for a smaller bow for your babe? We make mini schoolgirls too!